Jeffrey A. Orr, MD, is an orthopedic surgeon. 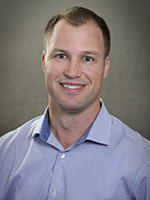 He is expanding access to care at Tahoe Orthopedics and Sports Medicine with additional operative and non-operative services for patients’ orthopedic and sports medicine needs. Dr. Orr received his medical doctorate from Georgetown University in Washington, D.C. He conducted his orthopedic surgery residency at Maimonides Medical Center in Brooklyn, NY. He completed his fellowship training at the University of South Florida. He’s an affiliate of the American Academy of Orthopedic Surgeons, and the American Orthopedic Society for Sports Medicine. Dr. Orr is from South Lake Tahoe. His interests include running, water-skiing, snow-skiing, surfing, whitewater rafting, golf, tennis, soccer, hockey, softball, and cooking.